Avatar-ET 3.4M is Light weight electro-glider F5J class. It's clean low drag design provides excellent air penetration with wide range of speed and flying weight ~1570 g (~55 oz.) makes it an ultimate thermal electro-glider. Avatar-ET wing is equipped with internally hinged Ailerons and Flaps - this feature not only reduce building time but also makes the wing stronger. Strong tapered tail boom is made of carbon-glass-fiber composite. 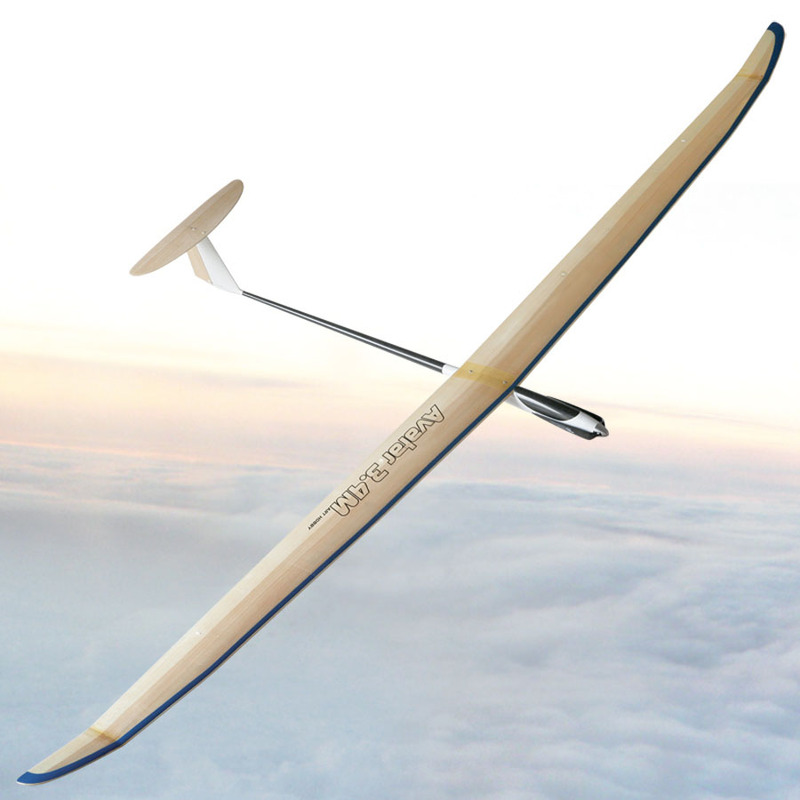 The black poplar veneer is bonded to the foam with aircraft industry grade epoxy in high pressure mold for perfect airfoil fidelity and warp-free wing. Our original 3-segments wing design is very strong and convenient, internally hinged ailerons and flaps are minimizing the building time. 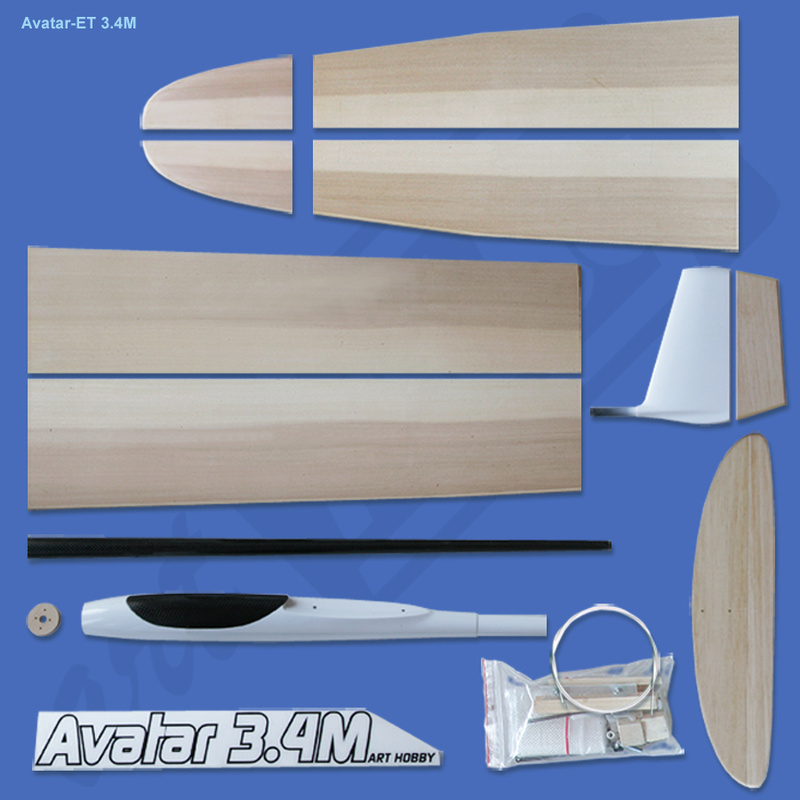 The horizontal stabilizer with pre-hinged elevator and rudder are made from selected balsa wood and fully laminated. The removable horizontal stabilizer and 3-segment wing allows easy storage and transport flexibility. NOTE: Wing version with Aileron and Spoilers is also available. ~1500 mm / ~59.05 in. 55.44 dm² / 859.32 sq.in. ~950 g / ~33.33 oz. ~1570 g /~ 55 oz.